Throat cancer is a term which is generally used for the cancerous tumors which develop in the parts of the throat like voice box (larynx), vocal cords, tonsils, oropharynx, etc.. A prominent reason behind throat cancer is a genetic mutation occurring in cells present in the throat. These cells breed on healthy cells and grow uncontrollably until all healthy cells die. These cancerous cells accumulate to form a tumor. One thing we should know is that throat cancer can also affect a part of cartilage i.e. epiglottis which works as a lid for windpipe. Tonsils can also be damaged by cancerous cells. The throat cancer symptoms may differ from person to person. However, in the early stages, it will be a bit difficult to recognize the throat cancer. 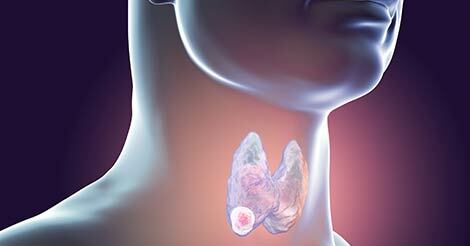 Symptoms of throat cancer always depend on the location and the stages of throat cancer. Note that symptoms in women and men can differ from each other. If you found any above symptoms you must visit your doctor to Diagnose the throat cancer. But though you are not facing such signs you must follow the through cancer prevention tips to protect yourself from cancer. A healthy lifestyle comprising of balanced diet and exercise can help in reducing the chances of getting cancer at any stage of life. But along with this regular checkup gives you a clear health status, which is necessary to get immediate medical intervention and help if needed. So keeping track of your health and identifying the potential risks is important. 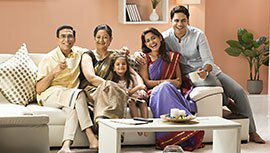 Medical health checkups are useful and you should definitely go for them as a family. To know about various preventive health checkup packages and get the answers to your queries, please fill up the query form.